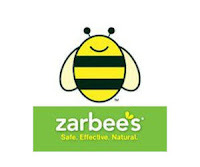 411 Freebies And More: Free Sample of ZarBee’s Naturals Seasonal Relief Tablets! Free Sample of ZarBee’s Naturals Seasonal Relief Tablets! Like Zarbee's on Facebook and click their 'Free Samples' tab to claim a free sample of their ZarBee’s Naturals Seasonal Relief. You must confirm your request via your email or you will not receive your sample. This is a very limited offer, so sign up while supplies lasts.